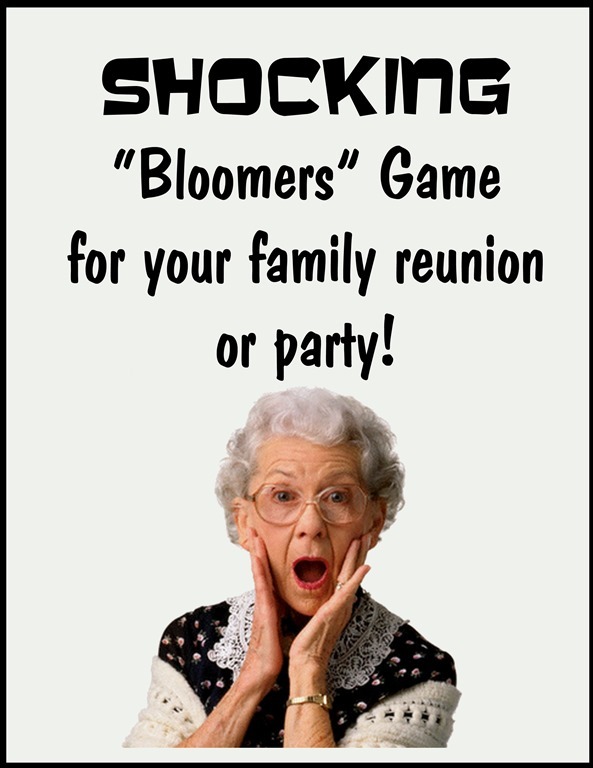 I first played the “Bloomers” game at a family party when I was a teenager and was scared to death. I was so afraid that the music would stop and I would be stuck with the box of “bloomers” that was being passed around. Thirty years later whenever I think about that game I laugh- it was so intense and I was so relieved at the “surprise” ending of the game. This is a very scary game for boys ages 8- 14. (There is nothing scarier to a boy of this age than women’s underwear) This game is a good game for any party but is especially fitting for a mixed crowd that includes young boys. It is IMPORTANT that you use the correct wording- you don’t want to say that there is UNDERWEAR in the box- you just want them to THINK that there is. Everyone will pass the box around the circle while music is being played. When the music stops the person holding the box must unwrap one layer of wrapping paper. Start the music again and begin passing the box again. Continue until all of the paper is off the box. The person who removes the last layer of paper must open the box and model the bloomers for everyone to see. HINT: Be careful how you word your instructions because inside the box is not a pair of old fashion women’s bloomers but a pair (two) bloomers from the garden. The shocked look on the person’s face when he realizes that it’s just “flowers” he is modeling and not “underwear” is a joy to see. This entry was posted in Family Reunion Games, Family Reunion Ideas, Games and tagged bloomers, circle games, funny games, inside games, large group games, music games, party games by Aunt Mo. Bookmark the permalink.